I know I come late to the party, as the movie opened more than 10 days ago, but I just went to see the New Cinderella with my 6 year-old daughter (better known as Miss I) last Saturday. 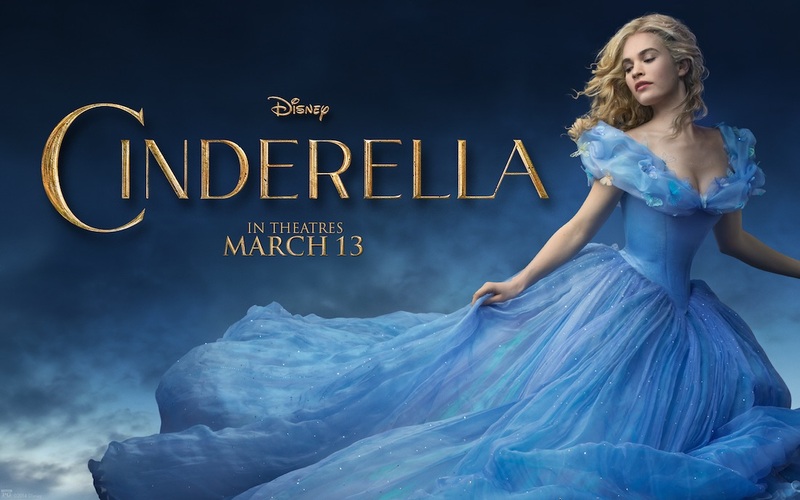 Regardless on my not being particularly timely with this review, I wanted to add in my two cents on what I (and my daughter) thought about this New (Old-fashioned) Cinderella. First, I’ll talk about the things that surprised me in a good way. I like the fact that this is the first version ever of Cinderella that makes the character of the Stepmother more believable and her actions almost understandable (however, not sympathetic). Angelica Huston’s Stepmother in Ever After is a close second, but that character is treated in a farcical tone, while Cata Blanchet’s one is not. I also love the fact that the story gives a more rounded back story to Cinderella and the Stepmother to understand why Cinderella doesn’t leave, and why the Stepmother particularly hates her. I also like that this is the ONLY Cinderella version in which the Stepmother tries to bargain with Cinderella to let her marry the Prince with her blessing (I really think I’m not in need of a spoiler alert here…). Now, I’ll go ahead and talk about what I didn’t like from the movie. Cinderella’s mother passes away and tells her to always be Courageous and Kind, regardless of what other people might do, say or think. Pretty much, she’s telling her daughter to offer the other cheek, in a very Christian kind of way. That mantra will carry her on and see her through all her sorrows and perils, until finally goodness and kindness vanquish all evil (oops! Spoiler alert… too late). I don’t like the fact that Cinderella and the Prince meet before the ball, as that makes it very hard for her to keep suffering all the abuses she’s subjected to at home, specially when even her old household help asks her why she doesn’t leave. I know it is there to give the story a more romantic spin, basing the Prince’s falling for her a matter of character, not beauty… but it is just too unbelievable. Again, this had been done before with Ever After, in a much better way, and as an organic part of the story. I guess that what bugs me the most is the fact that instead of trying to go back to the Grimm’s (or even Perrault’s) classic version of the fairytale, Branagh decided to adapt and attempt to “modernize” the Disney movie. I have an issue having my daughter take a figure such as Cinderella as her role model or aspiration to be. I believe that you have to fight for what you want and believe in, and just waiting for a Prince (or anyone, for that matter) to sweep you off your feet and make “all your dreams come true” is most definitely the last thing I’d ever hope for her. I’m a big proponent of teaching her that she can be whatever it is she sets her mind to. But the truth is my daughter enjoyed the movie. She loved every second of it. And she’s been singing the theme song every day. One last thought… I think that was by far the most FAR OUT Fairy Godmother I’ve seen, courtesy of Helena Bonham Carter. She looks incredibly weird. Did you see the movie? What did you think about Disney stepping away from portraying strong and high spirited female characters (such as Elsa or Merida) to go back to submissive Cinderella? Despite Its Flaws, Ever After Holds Up As A Magical Cinderella Story – Way better than that new one. I ended up taking my two older ones, and even though I made them go to the bathroom before we left the house, and before we took our seats, they needed the bathroom TWICE. The first time was when she met the Prince, so I can’t comment on that, the second at the end (I may go back and see it alone). I see your points, and agree about loving the back story, and the emotional state of the stepmother. I don’t see her as a passive person, though. I think she had a deep connection to her roots, a forgiving heart, and a strong work ethic. Her priority was to stay where her family had been, and she was willing to make sacrifices to achieve that goal…. Anyhow, that’s my two cents! ARGH!!! I missed that talk! That was almost at the end, right? That’s definitely when we were doing another potty break! !